ComiXology Unlimited: Is the Netflix for Digital Comics Worth Your Money? With hundreds of thousands (if not millions) of issues available, figuring out where to start in the world of comics is an intimidating process. 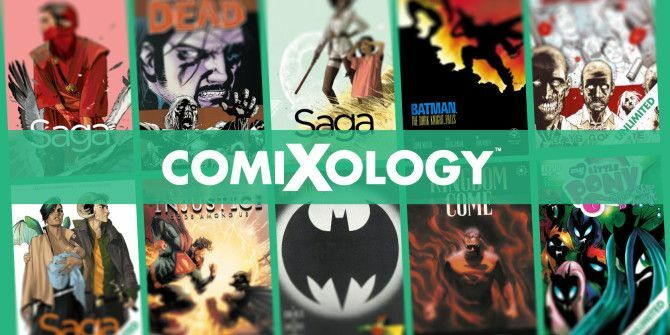 ComiXology recently announced ComiXology Unlimited, which could be a great solution to this problem, as it offers “thousands of digital comics Do You Love Comics? This Online Guide Is For You! Do You Love Comics? This Online Guide Is For You! 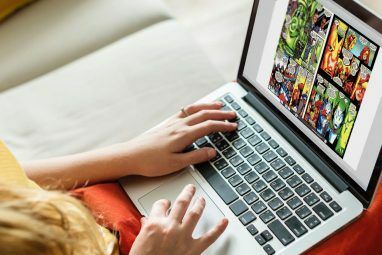 This guide explains how to download comic books for free and legally, where to buy comic books that aren't free and even how to scan backups of comic books you already own. Read More , graphic novels, and Manga for just $5.99 a month”. But is ComiXology Unlimited a good deal? Let’s see what’s on offer to help you decide whether it’s worth paying for. ComiXology Unlimited can be compared to Netflix, kinda; for a monthly fee, you get access to everything that ComiXology has made available. This isn’t everything that ComiXology has, though; it’s only a subset. Still, thousands of comics will keep you busy reading for a long time, and it’s certainly a lot cheaper than buying digital comics online 8 Places To Buy Comics Online, Whether You Like It On Paper Or Digital 8 Places To Buy Comics Online, Whether You Like It On Paper Or Digital I am presuming here that you the reader are now an adult or at least in your late teens who is probably reading at least a Dan Brown or the latest bestseller on political philosophy.... Read More . Another similarity between ComiXology Unlimited and Netflix is that the available comics will rotate monthly, giving you access to new issues and removing access to others. How they’ll rotate and exactly what will be available once the Unlimited plan has been fully rolled out isn’t yet known. ComiXology Unlimited will set you back $5.99-per-month, which is pretty reasonable when you consider just how much reading it lets you do. However, it’s important to look at the available selection of comics before deciding whether or not it’s right for you. What’s Available on ComiXology Unlimited? There are a lot of comics from Image, Dark Horse, and IDW on ComiXology Unlimited, which gives you access to some of today’s most popular series… but the Unlimited plan is notably lacking when it comes to your favorite Marvel and DC books. I ran a search for a few Marvel series that I either really like or would like to read (Avengers vs. X-Men, 1602, Ms. Marvel), and got no hits whatsoever. All of these comics are available to buy from the ComiXology website, a great comics website 5 Websites For The Comic Book Fan 5 Websites For The Comic Book Fan If there was one thing the Web was made for, it was for comic book reading. Instant downloads, lots of fan information, and no waiting in line at the comic book store anymore. Read More in theor own right, so you could get the issues or collections, but they’re not included in your $5.99 monthly subscription. You won’t be getting Wolverine, Batman, Wonder Woman, or any of your other favorite classic comic heroes with this plan. ComiXology says that the Unlimited plan will be “growing and changing” over time, but exactly what that means for the selection is anyone’s guess — it’s a safe bet that it won’t include Marvel or DC, though. Is ComiXology Unlimited a Good Deal? The unlimited comics subscription scene is a surprisingly small one: beyond ComiXology, Marvel Unlimited is the biggest name in the business, though there are a couple of other subscription services that offer digital comics. Marvel’s service, however, will run you $9.99-per-month, making it notably more expensive than ComiXology. Obviously, the biggest deciding factor in choosing one over the other is going to be the comics you’re looking for. If you’re a Marvel fan, ComiXology isn’t going to do it for you. If you want books from smaller imprints like Dark Horse, Image, Dynamite, and BOOM!, then the cheaper option will be a good choice. Another thing to consider is that ComiXology, at least at the moment, seems to only have the first few volumes of any given series. Saga, for example, currently has six volumes in print, but only one is available on the Unlimited plan; you’d have to buy the other volumes and download them to the app. While many Marvel series are the same on their own Unlimited app, there are a lot of runs that are complete. I’ve read both Avengers vs. X-Men and Civil War on Marvel Unlimited, both being relatively recent releases, and I was able to read all of the volumes in both series. 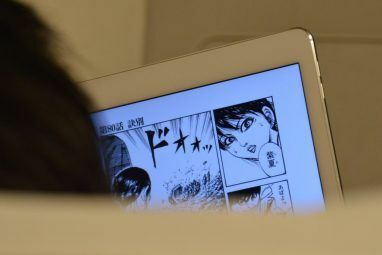 If you plan on downloading comics to read offline The Best Apps for Reading Comics on Your iPad The Best Apps for Reading Comics on Your iPad There are many reasons to buy an iPad, but few are as nerdy as the pursuit of a digital comic book reader. 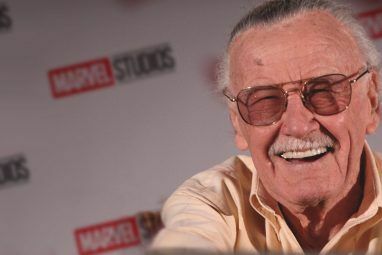 Read More , there’s another difference between the two services that you should be aware of: ComiXology offers you the ability to download 50 books, while Marvel limits you to 12. Most people aren’t away from Wi-Fi long enough to read 12 books, much less 50, but it could be a consideration for you. In the end, ComiXology does feel a bit like an attempt to drive up sales by getting people hooked on the early issues of comics and not giving them the later issues, at least until a few months later. Despite this, it could be a good fit for people looking to explore what the comics world has to offer. After looking into what’s available on ComiXology Unlimited, it looks like it’s a good choice for newcomers to the world of comics. There are some really phenomenal titles available, but you’ll only be able to read the first few volumes, after which you’ll have to pay full price to download the digital versions. This isn’t necessarily a bad thing, but if you want to binge-read an entire storyline, it’s just not going to happen on ComiXology. That being said, there’s a huge world of comics and graphic novels that will likely appeal to people who people who haven’t done much reading of either, but are interested in seeing what’s out there. There are great illustrated works for people of any literary taste, and this is an app that will help you discover the breadth of the comics world. And for that, it’s a subscription worth considering (just remember that there are also a lot of digital comics you can get for free 6 of the Best Ways to Read Comics Online for Free 6 of the Best Ways to Read Comics Online for Free These awesome websites will let you read comics online for free, catch up on older issues, and find hidden gems. Read More ). Are you thinking about subscribing to ComiXology Unlimited? Or does it not seem worth the price? What about Marvel Unlimited or another comics subscription service? Feel free to share your thoughts below! The Best Prebuilt, DIY, and NAS Solutions for a Plex ServerShould You Buy a Kindle or Just Use the Free App? You're far better off buying an annual subscription for Marvel Unlimited. It's $69 which equates to $5.75 a month. As long as you can pay for the whole year up front, it's actually the cheaper service. Unless you're just trying it out, you shouldn't be paying the monthly cost for Marvel Unlimited. Provided dropping $69 up front isn't an issue, the annual subscription actually ends up being cheaper than Comixology's service.